Deep glossy replicated black paint. Detailed scroll/leaf appliqués tipped with satin nickel color. 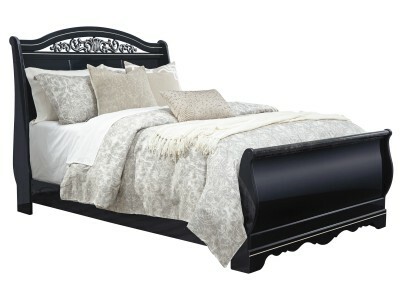 G..
It’s hard to say what stands out most about the Andromeda queen headboard. Glossy finish, metallic s..
Merlot finish over a replicated mahogany grain. Curved shaped panels on bed and mirror provide drama.. This Bed requires bolt on rails. 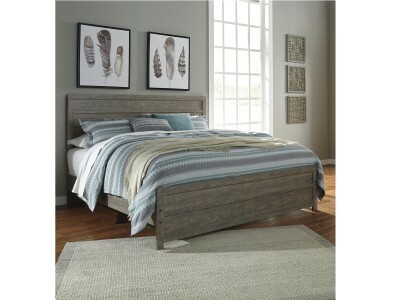 ..
A sophisticated modern chunky look with large satin nickel colored hardware. Warm gray vintage finis.. This queen upholstered headboard masters the art of chic, contemporary design. 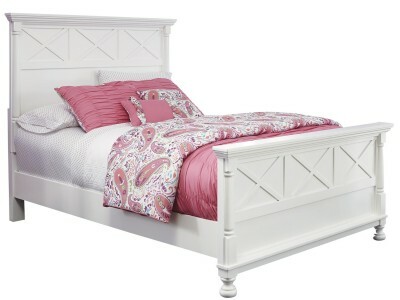 The deeply tufted uph..
Let your country fresh style shine through with this crisp and cheerful twin panel headboard. The cl.. 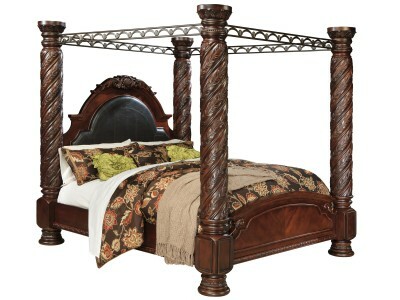 Inspired by the grandeur and grace of Old World traditional style, the Cambridge queen panel he.. 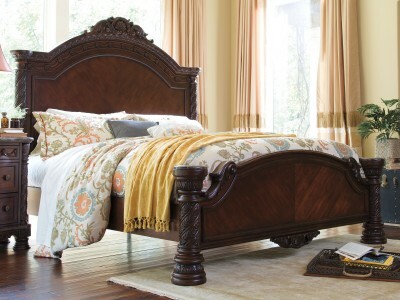 Inspired by the grandeur and grace of Old World traditional style, the Cambridge king sleigh ..
Price is set for Queen Bed! &nb..